BREEZE is best known for its PC-based BREEZE® air dispersion modelling software. Our U.S. partner Trinity Consultans is a global provider of air dispersion modelling, air quality compliance services, and software solutions to regulated air emissions sources of all varieties. Trinity is a leader in the practical use of AERMOD, CALPUFF, and other dispersion models, and has developed numerous tools to aid in identifying subtle anomalies in modelled results that can often be challenged in a regulatory context. BREEZE also provide meteorological & terrain data and high speed processing services to slash your AERMOD runtime. AERMOD is a steady-state Gaussian dispersion model that represents the current state-of-science and promulgated dispersion model from the U.S. EPA. Model the standard U.S. EPA sources (i.e., point, area, volume, open pit and EPA area line) and exclusive BREEZE sources such as flare and BREEZE area line sources. Great tool to perform air quality analyses that help to address both permitting, regulatory, and nuisance issues. BREEZE CALPUFF supports the basic U.S. EPA-approved programs. 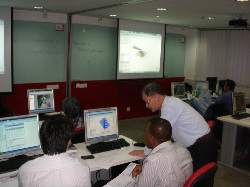 User-friendly interface provides modellers with more functionality and tools for analysing results. Riverstone Environmental is the authorised distributor of BREEZE software for Malaysia and Southeast Asia region. Contact us for a brief introduction of BREEZE software, its capabilities and key strengths. 5. 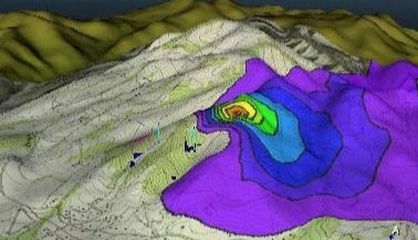 Other meteorological data and geophysical data you may need for modelling? Experienced trainer from U.S partner Trinity Consultants Inc.